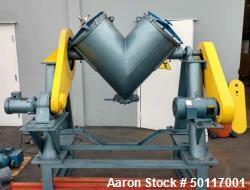 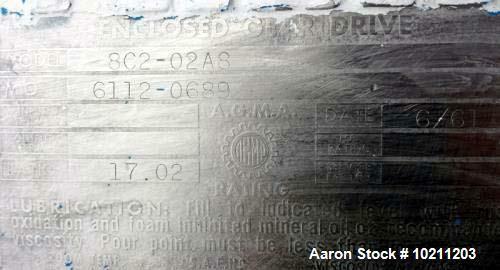 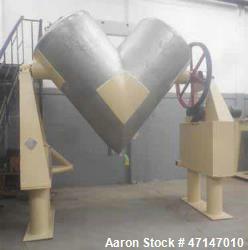 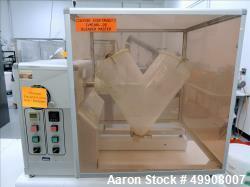 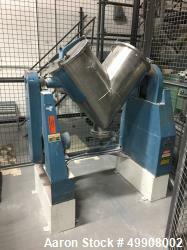 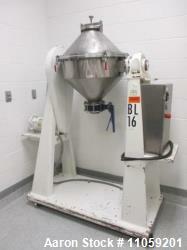 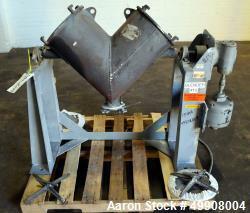 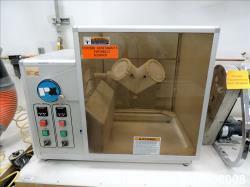 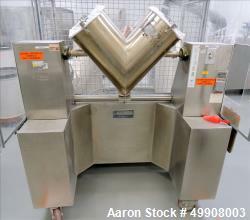 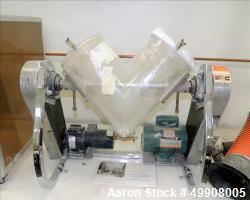 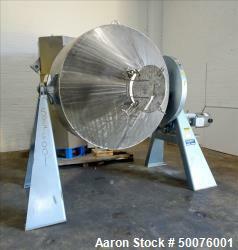 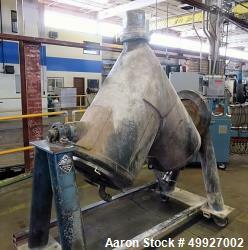 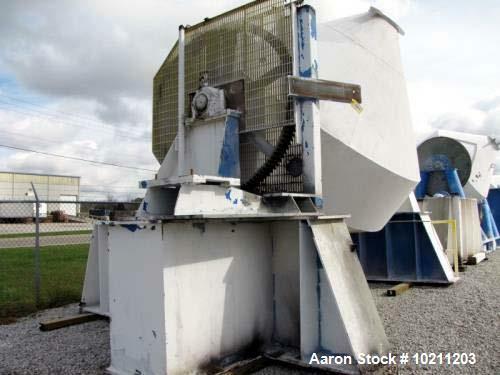 Used- 750 Cubic Foot Stainless Steel Double Cone Blender. 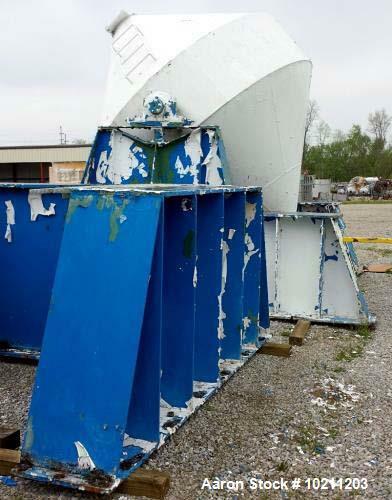 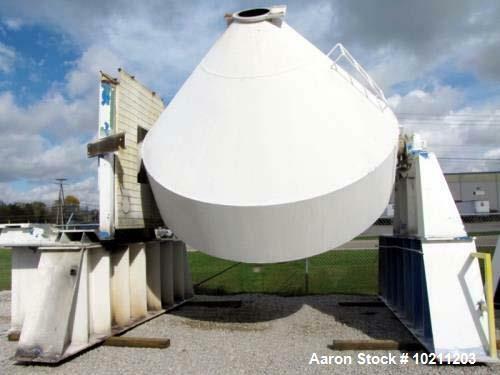 12' diameter cone. 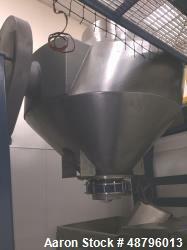 36" straight side. 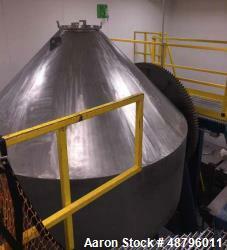 Current height is approximately 14'-8". 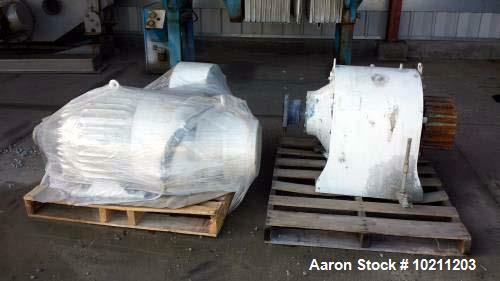 Pedestal stands will be removed for shipping purposes. 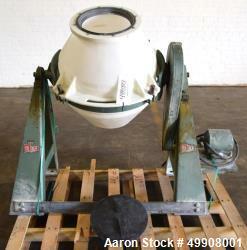 12" diameter flanged outlet. 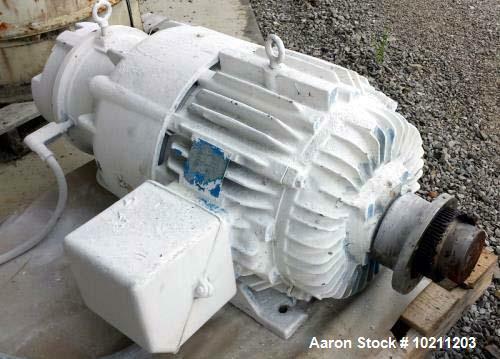 60 hp motor, 1175 rpm, 230/460 volt, 150/75 amps. 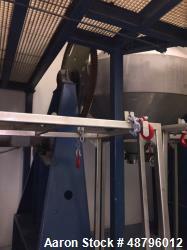 404T frame with electric brake. 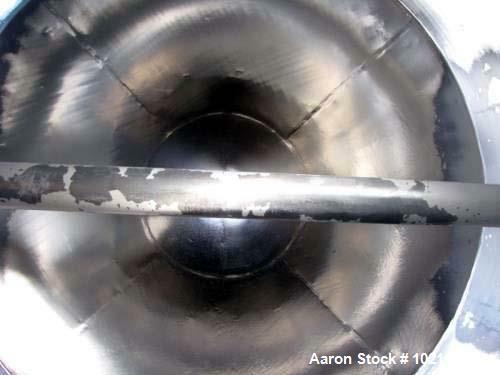 Housing is constructed of 304 stainless steel.